If you are planning to do a Tanzania safari excursion or climb Mount Kilimanjaro. We have this helpful information that gives you a bit of understanding of different national parks in Tanzania. This park has three distinct zones which make the Tanzania safari trip perfect: Ngurdoto Crater (often called the ‘mini-Ngorongoro’). The shallow alkaline Momella Lakes fed by underground streams (upon which rest thousands of lesser and greater flamingos. Many migrant birds can be seen between May and October); and the densely forested slopes of Mount Meru (one of the rewarding mountains to climb in Africa, where, among other animal species, live blue monkeys and beautiful black and white colobus monkeys). Other attractions in the park include the elephant, giraffe, buffalo, zebra, hippo, various antelopes, leopard, and hyena. The Arusha national park is 21 km from Arusha on the main Arusha to Moshi road. A network of gravel roads and tracks navigable by two-wheel-drive vehicle link the park’s main features and viewing points. Nevertheless, a few roads require 4WD vehicles. This relatively small park is divided into five distinct vegetation, but it’s among the most popular parks visited when doing a Tanzania safari in the Northen circuit. In a single day, a visitor may see elephant, buffalo, zebra, hippo, and the curious lions which have a habit of resting in trees. Sheltering under the massive escarpment of the Great Rift Valley, and covering an area of 325 sq. km, this park is a flash of green amid an otherwise parched landscape. A line of springs supports the lush vegetation of a groundwater forest, where blue monkeys, baboons, and the curious-looking silvery-cheeked hornbill live, among the more than 350 bird species, the most profuse being the flamingo. Located astride the main Dar to Mbeya highway, to the north of Selous Game Reserve and only 283 km from Dar-es-Salaam. The park is an important educational center for students of ecology and conservation, having been established to protect the environment and resident animals. The Mikumi floodplain is the main feature of the park along with the bordering mountain ranges. It has a landing strip and is home to, among others, the buffalo, zebra, giraffe, lion, wild dogs, python, monitor lizard, hartebeest, wildebeest, elephant hippo, impala, warthog, eland, and antelope. Not only the Tanzania safari excursion is famous in Tanzania but also the climbing adventure is found here. Mount Kilimanjaro the highest mountain is located here. 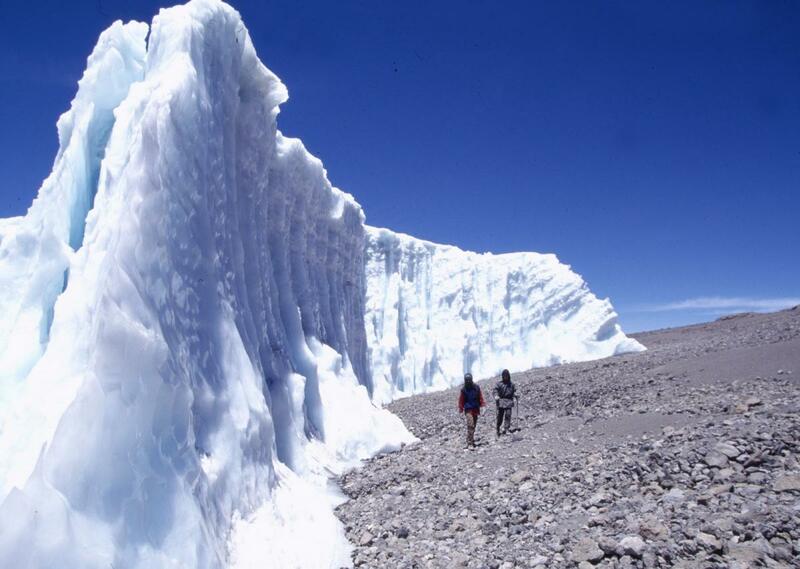 The snow-covered splendor of the highest mountain in Africa is visible on a clear day from more than 250 km away. Kilimanjaro rises from the vast open plains. First mentioned by Ptolemeus (a 2nd Century Greek philosopher and geographer), the largest mountain in Africa and highest free-standing mountain in the world, has proved a magnet to climbers, naturalists, travelers and explorers over the centuries. Only three degrees from the equator, the Victorians believed Kilimanjaro’s snow to be a flight of fancy for many years. Mount Kilimanjaro is the highest mountain in Africa and stands at 5,895 meters, three degrees south of the equator. The mountain, a dormant volcano, has two peaks – Kibo and Mawezi, which are surrounded by dense forests full of the dazzling variety of flora and fauna. There are six routes to get to the summit of Kilimanjaro the Machame route, Umbwe route, Marangu route, Rongai route, Lemosho route and Londorosi route. Ngorongoro Crater is indeed a highlight of Tanzania safari in the northern circuit of Tanzania, the formation of the Crater itself is mind-blowing leave along the hundreds of the wildlife that resides in the Crater. This vast protected area stretches from Lake Natron (the breeding ground for East Africa’s flamingos) in the northeast, to Lake Eyasi in the south, and Lake Manyara to the east. Eight million years ago, the Ngorongoro Crater was an active volcano but its cone collapsed, forming the crater that is 610 meters deep, 20 kilometers in diameter, and covers an area of 311 sq. km. Spectacular as it is, the crater accounts for just a tenth of the Ngorongoro Conservation Area, no wonder all Tanzania safari trips includes a visit to this place. A strange thing is that the crater elephants are mainly bulls. The birdlife, which includes the flamingo, is mainly seasonal and is also affected by the ratio of soda to the fresh water in Lake Magadi on the crater floor. Views from the rim of the crater are sensational. On the crater floor, grassland blends into swamps, lakes, rivers, woodland, and mountains. You can descend to the floor of the crater in a four-wheel drive vehicle. Only 4WD vehicles are allowed into the crater and game rangers are compulsory for all. Olduvai Gorge Olduvai, more accurately called Oldupai after the wild sisal in the area, is situated near the Ngorongoro Crater and is the site of some of the most important finds of early hominid fossils of all time (made famous by the work of the Leakey family) – The “Nutcracker Man” or Australopithecus boisei who lived 1.8 million years ago. There is a small informative museum located at the visitor center. The Olduvai Gorge is a treasure trove of archeological sites filled with fossils, settlement remains, and stone artifacts. Lecture tours are offered. This park is a second largest park but many very few Tanzania safari excursion end up here, instead concentrate on the northern circuit. At 13,000 sq. km, it is the second largest Tanzanian park and the world’s largest elephant sanctuary. The park represents a transition zone where eastern and southern African species of fauna and flora overlap. It is the northernmost example of Miombo woodland, common in central Africa, and the most southerly protected area in which Grant’s gazelle, lesser kudu, and striped hyena are found. To be able to see both greater and lesser kudu and roan and sable antelope in the same park is one of the special attractions of Ruaha. In the dry season, the river is an excellent place for observing large numbers of the game including lions, leopards, hunting dogs, giraffe, waterbuck, eland, and warthogs. Thousands of birds flock to Ruaha on their annual migration from Europe to Asia, and 465 bird species have been sighted in the park. The park’s residents include kingfishers, plovers, hornbills, green wood hoopoes, bee-eaters, sunbirds, and egrets. A Tanzania safari experience will indeed be perfect if end up is this spectacular park filled abundance of wildlife attractions. Unfortunately not many Tanzania safari excursions end up to this pristine reserve, a World Heritage Site since 1982, comprises an area of 55,000 sq. km, covering about six percent of Tanzania’s land surface. Larger than Switzerland, it is the world’s largest game reserve and second only to the Serengeti in its concentration of wildlife. It is also the sanctuary of the biggest elephant herd in the world, about 32,000 elephants live in the reserve – 70 percent of those in Tanzania, this is enough observation that no doubt Tanzania safari is the best trip to do in Africa. The Selous Game Reserve is difficult to describe without the use of superlatives. Named after British hunter and writer Frederick Courteney Selous who was killed during the First World War in the Beho Beho region (of the reserve), the reserve is part of the 75,000 square kilometer Selous ecosystem, which includes Mikumi National Park, the Kilombero Game Controlled Areas. Nature experiences include a boat safari on the mighty Rufiji, walk on the wild side and ornithology (over 350 species). There are no complete Tanzania safari trips without a visit to this magnificent endless plains of the Serengeti. Covering an area of 14,763 square kilometers, equal in size to Northern Ireland, the world famous Serengeti National Park is Tanzania’s oldest park, and one of the world’s last great wildlife refuges.It is contiguous with Kenya’s Masai Mara Game Reserve and stretches as far as Lake Victoria to the West. 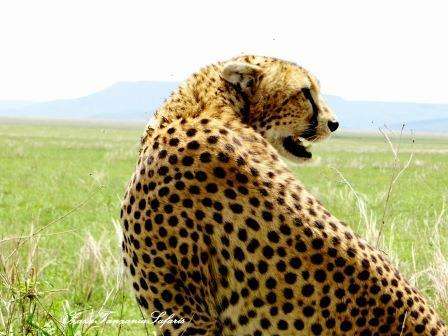 Its name comes from the Masai word Siringet, meaning ‘endless plains’. The Serengeti ecosystem supports the greatest remaining concentration of plains game in Africa, including more than three million large mammals, that why we say there is complete Tanzania safari without a visit to this place. It is the sanctuary of an estimated four million different animals and birds. The animals roam the park freely and in the spectacular migrations, huge herds of wild animals move to other areas of the park in search of greener grazing grounds (requiring over 4,000 tons of grass each day) and water. Its indeed place not miss when planning a Tanzania safari excurtion. The park’s permanent water supply ensures a huge and varied animal population, especially during the dry season when it rivals that of the Serengeti. The animals include large herds of elephants, buffalo, zebra, lesser and greater kudu, eland, wildebeest, hartebeest, Gerenuk, impala and fringe-eared onyx. This attractive park, with its statuesque baobab trees, is the main refuge for wildlife from the surrounding part of the Great Rift Valley during the dry season, which really makes Tanzania safari trip perfect. Also, the Tarangire national park is also an excellent place for bird-watching. The best bird-watching months are October to May. Udzungwa is one of Tanzania’s largest park’s but accessibility is severely limited-game drives are not possible, and therefore only trekking expeditions can be organized into the wilderness. But the few travelers that choose to visit this park during their Tanzania safari excursion get to see the different taste of safari excursion. The park hosts six species of primate, two of them are of endemic forms – the Red Colobus Monkey and the Sanje Crested Mangabey, discovered in 1979. The large resident populations of Elephant, Buffalo, Lion, Leopard, Wild Dog and Sable Antelope reside primarily on the side of the mountain range which is presently inaccessible. Other attractions of this park include the spectacular mountain scenery with rain-forest, wooded grasslands, rock faces, rivers and waterfalls; the falls on the Sanje River which drops some 170 m through the forest and into the valley below; and the mountain plateau with views of over 100 km, much of it across a mosaic of mountain forest and grassland.